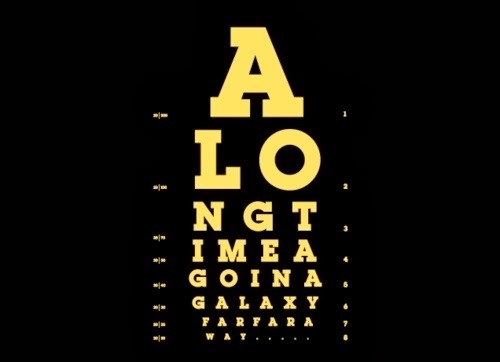 I went in for an eye exam recently. They have these ginormous machines that are there just to intimidate you. And force you to check if you need glasses even when you want to just check for an infection. So you do the pressure test - where they blow air into your eye. And the other regular test - where you guess the really tiny alphabets that you can't read. And say "its a D" and wait for a nod or then say "oh sorry it's a P, what was I thinking". A few fake smiles later they make you wait outside next to someone with blood shot eyes. Till they call you back in and flip your eyelids without a warning. And when you don't let them, they call assistants just to hold your head. Which is a little embarrassing when you're my age. And all this when you're all the while worrying about how the doctor didn't wear gloves and probably also flipped the eyelids of Miss blood shot eyes. I tried not to touch anything in the clinic and simply hovered around the furniture like the Great Gazoo and pretended to sit on it while wishing I could bathe the clinic in hand sanitiser. And you don't even leave with a lollipop.